Former WHFS DJ Cerphe on the alternative station's heyday. WASHINGTON — Long before the Internet and Google, a place existed where local music fans could hear obscure songs and learn about artists they’d never heard of — its “URL” was 102.3 FM. 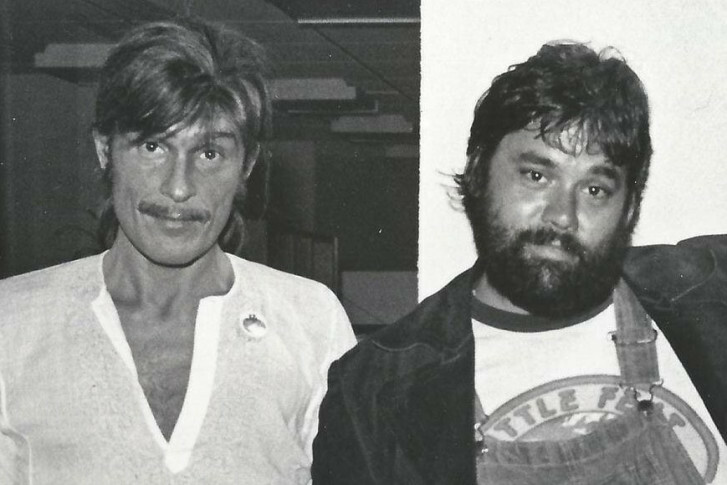 The in-the-works documentary “Feast Your Ears: The Story of WHFS 102.3” will take viewers “on a psychedelic trip back to the ’60s, ’70s and ’80s, when free-form, progressive rock radio was in its heyday,” the project’s website says. From an unassuming studio “high atop the Triangle Towers” in Bethesda, WHFS was an important rallying point for many music fans. “I can’t wait to see it,” says former WHFS DJ Cerphe Colwell, who appears in the film. Cerphe was hired in 1970 to do a Saturday-night show from 7 p.m. to midnight. “It was just part time. I was broke at the time. I was a starving art school major. Once I landed that HFS gig, I looked at the world like I was seeing it for the very first time,” Cerphe says. Some of WHFS’s DJs will be feted Wednesday evening at Bethesda Blues and Jazz Supper Club, where NRBQ, which was often featured on WHFS, will perform. WHFS was the first station in the D.C. area to broadcast in FM stereo — resulting in the Washington High Fidelity Stereo call letters. Cerphe says the station wasn’t just technologically ahead of its time. By today’s radio standards, Cerphe and other WHFS DJs, including Jonathan “Weasel” Gilbert, Damian Einstein and Bob “Here” Showacre, had near-free rein over the music they played. In the 1970s and ’80s, WHFS’s popularity and influence grew, though its ratings were in the middle of the pack. Disc jockeys at WHFS had Frank Zappa, Bonnie Raitt, Genesis, Little Feat and Roxy Music albums on their turntables at a time when stations played fewer and fewer songs. Cerphe left the station in 1979; today, he has the same freedom to play and discuss the music he likes on Cerphe’s Progressive Show on Music Planet Radio. The film is being produced by Jay Schlossberg, of North Potomac, whose company provides camera crews for video projects around the world. The filmmaker is set to launch a Kickstarter crowdfunding project to cover some production costs.